Digital distribution may be the coming thing but industry analyst Ben Schnachter predicts that major retailers like GameStop won't begin to feel the crunch for a long time yet - 2017, to be exact. There's no doubt that the growth of digitial distribution is going to exert pressure on conventional game retailers; what is debatable is when that pressure will begin to be felt. GameStop CEO Dan DeMatteo, as you'd expect, thinks that any potential digital threat to his company is a long way off and Schnachter, an analyst with Broadpoint AmTech, agrees with him. "It is unlikely that digital downloads will have any meaningful impact to GameStop's business this console cycle (which we think will run through at least 2014). Technologically, full game downloads to a console are feasible already (and there is already a small library of full-games available on Xbox Live), but limited hard drive space (we estimate approximately 70 percent of current-generation consoles have no hard drives) and bandwidth limitations (full games can be 20GB+) create significant barriers," he said. "Even if one assumes that by 2014 all new consoles have capabilities that eliminate storage and bandwidth concerns (which we believe is unlikely), it will still take several more years before these consoles have significant household penetration." The attitude of consumers toward the products will also continue to be a factor in the dominance of conventional retail channels, he added. Consumers tend to see physical products as having a greater inherent value than their digital counterparts, while publishers benefit from being able to market their games at conventional stores. 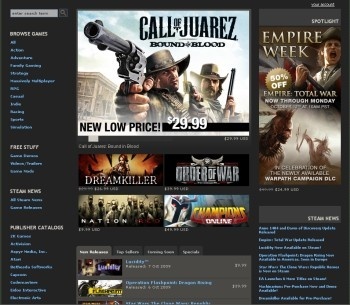 "The retail channel remains critical to the sales experience for games," Schnachter said. "If proof is needed that this still matters to game publishers, one needs to simply look back to the relative failure last year of Grand Theft Auto IV's download-able content," he continued. "The Grand Theft Auto (GTA) franchise is among the most well-known and successful brands ever created in the video game industry, yet having digital-only distribution of a product tied to GTA's most recent console title led to very disappointing sales. The bottom line is that retail still matters." I'm not sure how much my opinion matters when it's bathed in the blinding incandescence of a big-time industry analyst, but I'll put it out there anyway: I agree! (And not just because he's a big-time industry analyst.) A combination of incomplete broadband infrastructure, a lack of confidence in the security of online transactions (which is still surprisingly pervasive) and a very well-established belief in the conventional retail system held by most people means that digital distribution, awesome though it may be, won't be ready for prime-time for a lot of years to come.